A variety of beautiful and useful items. Just walking around the gallery and listing off everything I see, starting in the front. Mended Heart magnets and kits, decor pillows, pin cushions, embellished kitchen towels, gift wrap, coasters, matted original paintings and art photography, place mats, cloth napkins and napkin rings, pot holders, baby bibs and skirts, shopping bags and baggies, fabric flower pins and hair clips, wine glass charms, Mended Heart hair clips, barrettes and pins, mysterious poetry magnets and bookmarks, Z by Zen Hens Fashion Swimwear magnets, story bead earrings, e-reader bags, purses, shoulder bags, covered journals, quilts, receiving blankets, hats, wallets, zipper bags, travel sleep masks, hand made cards, beaded bracelets, dragonflies, eye glass cases, iPhone covers, papier mache blocks and word art, tiny sweater ornaments, Christmas stockings and a stuffed turtle. Whew! And more new items every week!! 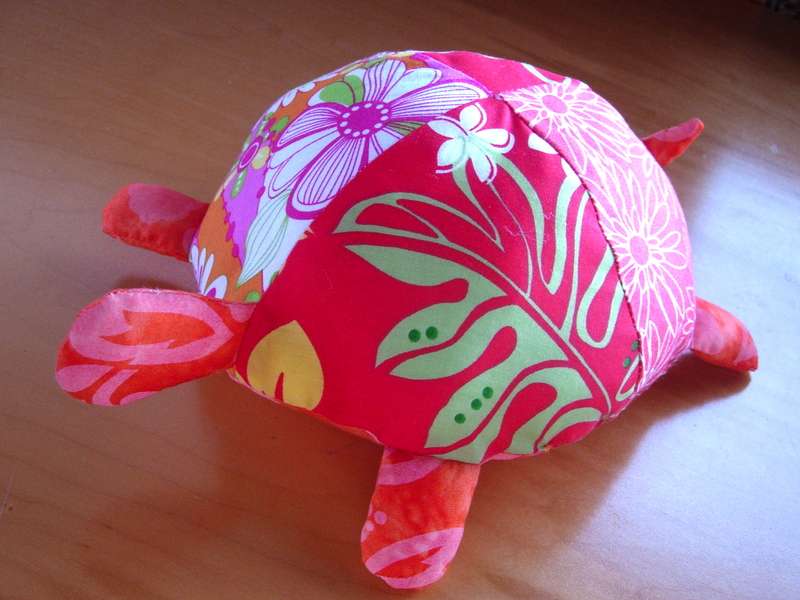 Come by Zen Hens Art Craft Boutique and Gallery, on Lotus Blossom Lane, just past Aloha Blvd, in Ocean View, Hawaii. Or, contact me through the contact page or our facebook page or Etsy shop. 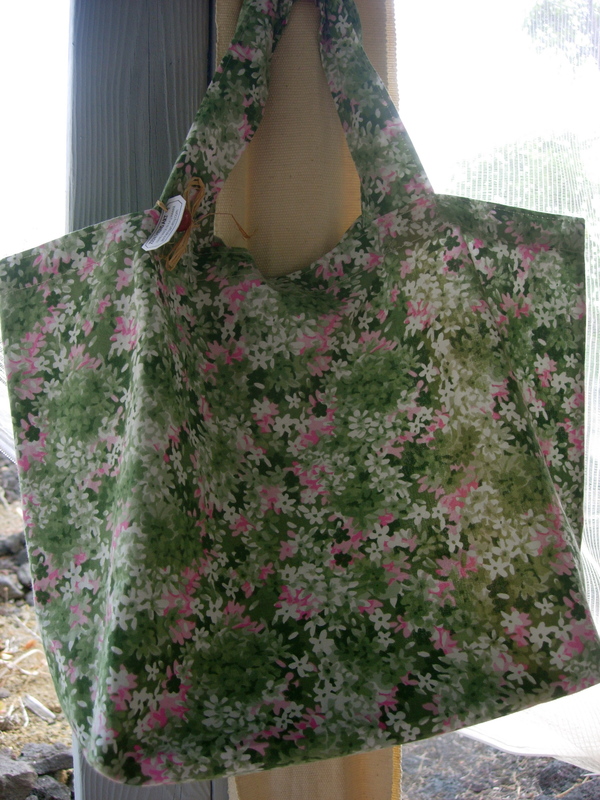 Green and pink floral shopping bag. Super deal on this sweet little light-weight all-purpose shopping bag. These usually go for $10 but this one has a small faded spot on the fabric so I’ve marked it down to $6. Come by the gallery today to see all the pretties!